Historic Jonestown is a neighborhood anchored by cultural institutions with a longstanding commitment to human service and social innovation. Together with residents and local planning authorities, these anchor institutions launched a visioning and planning process in 2014 with generous funding from local foundations. On October 1, 2015, the Historic Jonestown Visioning Process culminated in a public celebration of the new branding and master plan held at the Jewish Museum of Maryland. 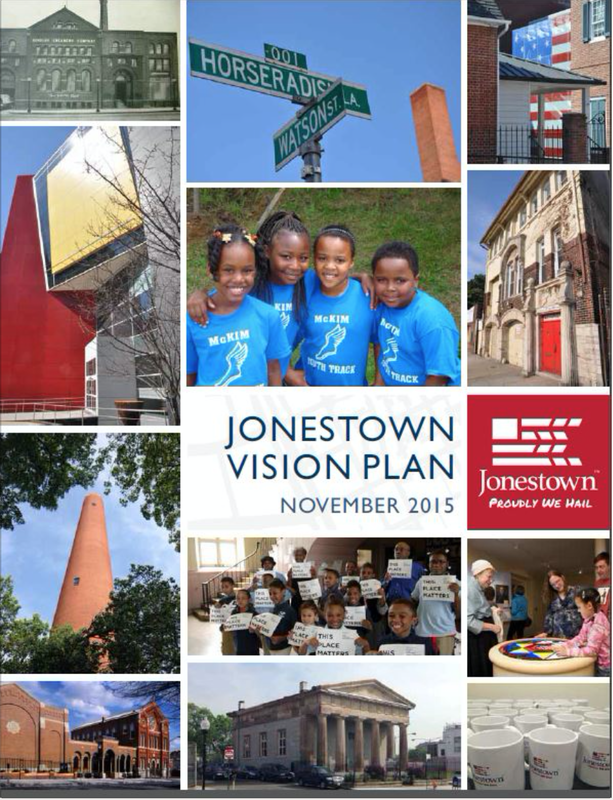 On December 9, 2015, The Vision Plan will be adopted by the Historic Jonestown Corporation as the framework for neighborhood redevelopment.